The Learning and Development sub-unit of INDEVCO Organization Effectiveness Unit, improves training processes and enhances training solutionsby linking to existing competency framework to achieve effective and efficient outcomes . 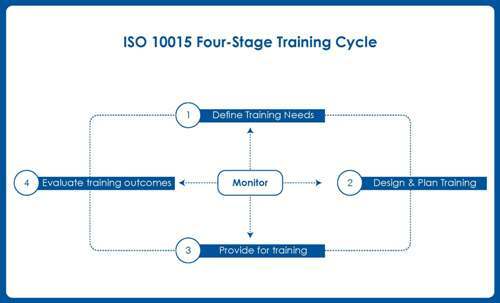 The Learning and Development sub-unit follows ISO 10015 Training Guidelines, covering training development, implementation, maintenance, and improvement of strategies and systems. These guidelines provide guidance on how to select and implement trainings to close the gaps between required and existing competence levels related to the accomplishment of specific tasks. INDEVCO Organization Effectiveness Unit identifies competencies required for each job, assesses the competency level of job holders, identifies gaps between desired and actual levels, and offers solutions to close gaps. Consequently, the Learning and Development sub-unit specifies development needs covering the objectives and expected outcomes of the training. At this stage, the Learning and Development sub-unit designs and plans actions to be taken to address competence gaps identified in the first stage, and defines all criteria for evaluating training outcomes. Therefore, the sub-unit determines different types of constraints in the training process to be considered when selecting potential training methods and providers, as well as when developing of training plan specifications. The sub-unit selects qualified training providers whose responsibility is to carry out all the activities specified for the delivery of the training in the training plan specifications. The Learning and Development sub-unit also ensures effective interaction between the sub-unit, the provider and the trainee, by providing support during the pre-training, training and post-training phases. Following all above phases, the Learning & Development sub-unit conducts a training evaluation in order to make sure that organizational and training objectives were effectively met. Therefore, two evaluations shall be conducted, on a short-term and long-term basis, to verify the level of competence achieved. Consequently, the sub-unit collects data and prepares evaluation reports highlighting nonconformities and acting on corrective actions. Throughout the entire training process, the Learning & Development sub-unit is responsible for monitoring the four-stage process, as part of the company’s quality system. This ensures an effective process and meets company training requirements. Moreover, all records should be documented to provide the basis for validating the training process and to identify further opportunities for improving effectiveness in any stage of the process.